BALTIMORE, Md. 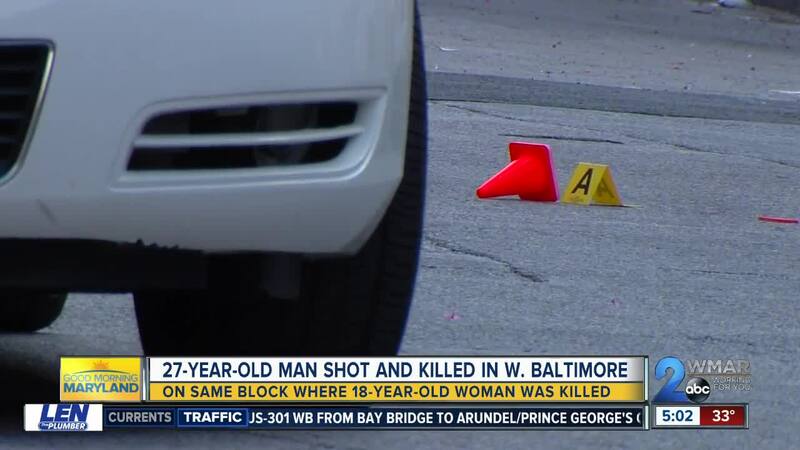 — Another person was killed in West Baltimore on the same block where an 18-year-old woman was caught in the crossfire only a week ago. 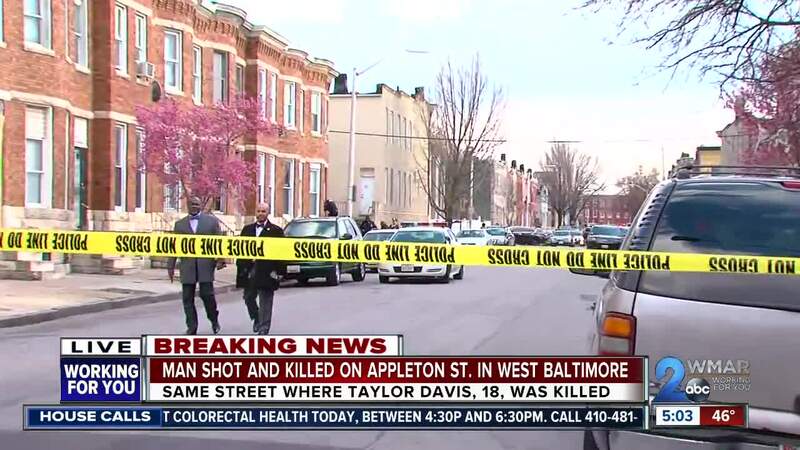 That makes 61 people killed in 2019 in the City of Baltimore so far. This time, 27-year-old Ryan Brunson was shot and killed inside a home in the 800 block of Appleton St. The same block where there was a vigil for 18-year-old Taylor Davis just three days earlier. 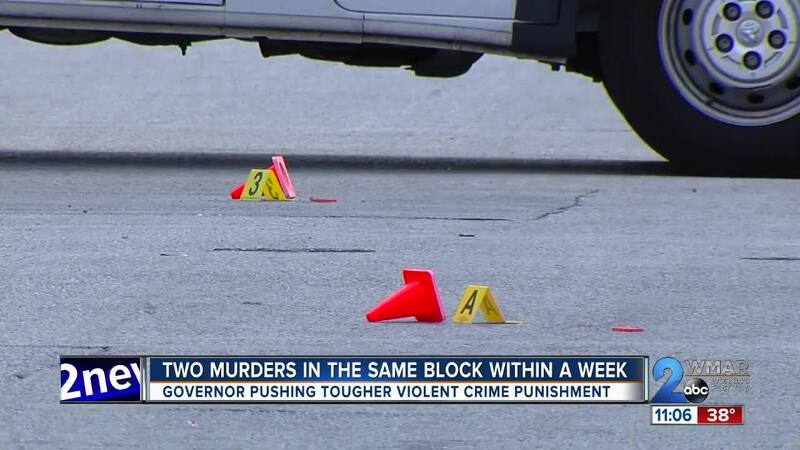 The violence of Baltimore City reaching the capitol, Governor Larry Hogan pushing bills that he says aren’t being backed. “We have a bill to try to push tough sentencing for repeated violent offenders who have multiple times been convicted of committing a felony with a gun and it’s not getting any traction,” said Hogan. People are saying they don't want to leave their homes. The cries of pain will stick in people’s minds, but if the silence continues those responsible for taking these lives will continue to walk freely. Anyone with information is urged to contact Baltimore Police Department’s Homicide detectives, at 410-396-2100. Those who wish to remain anonymous can utilize the Metro Crime Stoppers tip line, at 1-866-7LOCKUP.